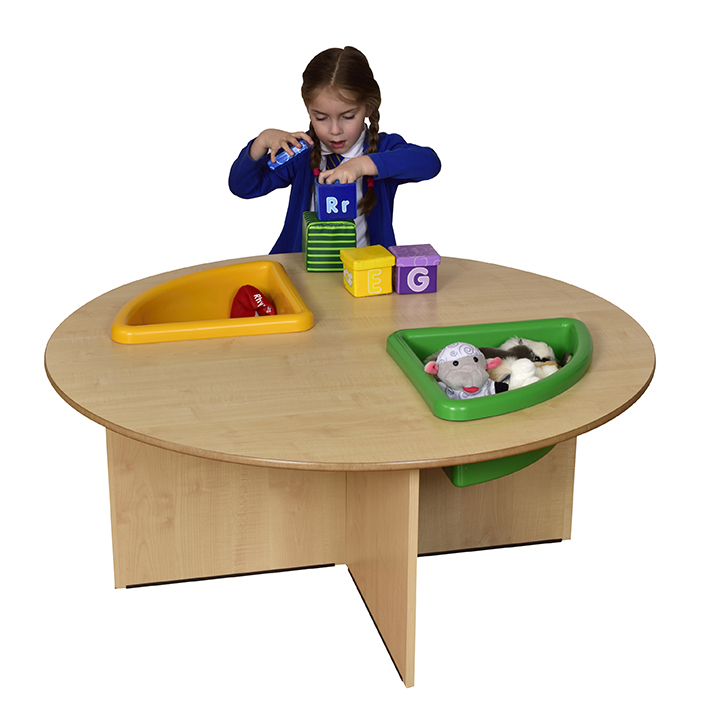 This round play table comes with 2 portable trays that can be lifted in/out. Great all round table for both play and storage. Manufactured from 15mm MDF with bull nosed and polished edges for safer play.